Notes: HE WAS BORN AND RESIDED IN READING AND FORMERLY SERVED IN THE OX & BUCKS LI. 21/6/45 FATAL JEEP ACCIDENT S. DONA DI PIAVE, SGT CLARKE KILLED, L/CPL GODFREY SERIOUSLY INJURED, L/CPL JONES SLIGHT INJURIES. 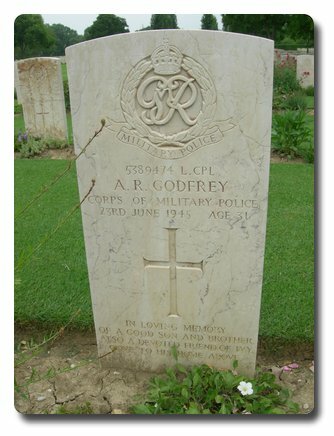 27/6/45 CPL GODFREY DIED AS A RESULT OF TA ON 21ST. 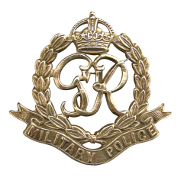 4/4/45 COURT OF ENQUIRY AT 55 ARMY AREA TO INVESTIGATE DEATHS OF SGT E C CLARKE AND L/CPL GODFREY. 43 TC COY UNIT WAR DIARY WO 170/7082. . INSCRIPTION ON GRAVESTONE: IN LOVING MEMORY OF A GOOD SON AND BROTHER, ALSO A DEVOTED FRIEND OF IVY, GONE TO HIS HOME ABOVE.